Snippet preview Happy Christmas from Keytek Locksmiths! 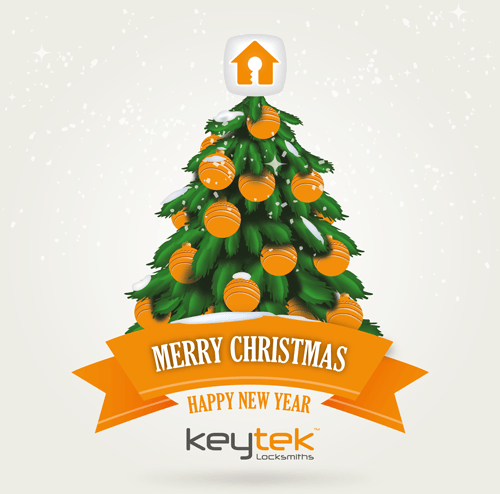 Happy Christmas from Keytek Locksmiths! Stay secure and have a Happy Christmas by following our Home Security Tips! In order for any type of lock to be classed as ‘British Standard’ the lock must have been through strict testing this includes the strength, durability and its security. You need to look for the British Standard Kitemark to make sure your lock is British Standard. By using these locks you can give yourself a sense of security, knowing they have been through rigorous testing. These could be used by any potential thief to gain entry to your house. Never leave any valuables in direct view of a window, it’s like advertising the contents of your home to any potential intruder. Letting everyone now when and for how long you will be away from your property is dangerous. An empty house is a burglars dream. Invest in a light timer, you can set you lamps to go on and off during the day, even if you’re away! Giving the illusion that someone is in the property. You can take this to the next level by purchasing a TV simulator that gives the impression that someone is watching the television inside your home. Having a security light on a sensor outside your property will deter burglars as they are often more confident when it’s dark. This will help stop what is known as ‘key fishing’ which is method of entry used by burglars, utilising the letterbox. A letterbox cage or guard is a good protection method as is a key safe. Of course the most simple thing you can do to secure your home is to make sure all the windows and doors are locked. The majority of intruders will use an unlocked door or window to gain entry.